This layout represented the culmination of nearly 50 years of modelling. Like many railway modellers of a certain age, I started my modelling odyssey with a Hornby Dublo train set that was developed, grown and nurtered into various layouts. Family and work commitments led to house moves, new layouts started before circumstances changed. When the family settled in Whitley Bay, I was able to focus on a layout and use my years of experience to bring a layout to a conclusion. I achieved one of my modelling ambitions when an article detailing the layout appeared in the June 2005 issue of Model Rail. Whitley Bay Quayside is based on the town of Whitley Bay with a licence to modify the map of England so that WYPTE sponsored EMUs and DMUs from the South could share platforms with Scotrail vehicles from the North. 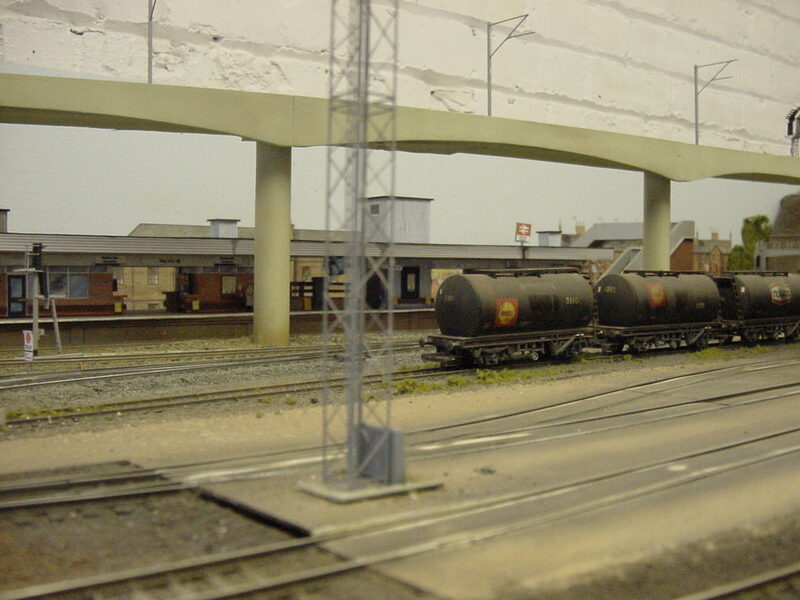 The station environment was host to a stabling point for a nearby yard with a wide variety of traffic from all over the country. I have an interest in architecture and my layout contained a number of architectural features including a scratchbuilt viaduct which carried the Tyne and Wear Metro. A twin car Dave Alexander Metro kit “shuttled” back and forth. (This means that the day of the week was always Sunday, Metro trains during the rest of the week were four car!) Most of the architectural features were scratchbuilt, with bits and pieces from “Pikestuff” and “Cornerstone” by Walthers. Many features were designed on a PC and printed on card to make up into modern structures. All the signals were scratchbuilt, using drinking straws to create the lens covers! 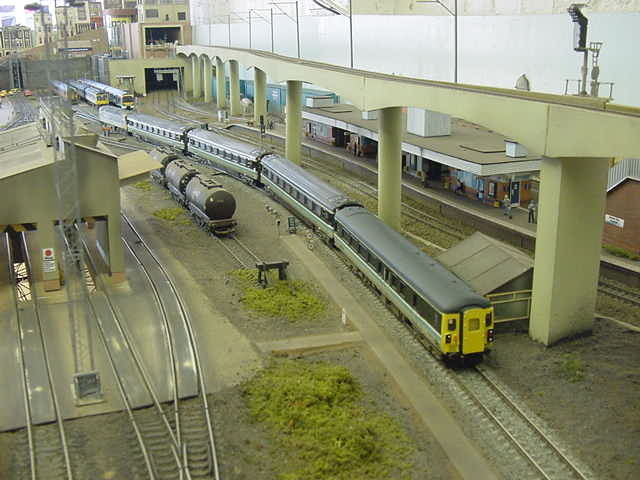 The layout was dismantled in 2006, but this website charts a modelling history and explores the railway environment in which the layout was conceived and built.